Amanda's previous career ( over 15 years of experience) of working as a registered nurse in both primary and secondary care has equipped her with the abiliy to understand the fertility of health and social care provision in a variety of settings. As a commissioning manager, she is outcome focused and boasts a number of successful projects that she has implemented across the city of Bristol. Amanda is committed,passionate and driven by equalities and improved health outcomes for deprived populations,and keen to move into a senior position in the near future, so that she can continue to make a difference. She has recently completed an MSc in Leadership & Management in Health & Social Care and has a BSc in Health & Community Studies. 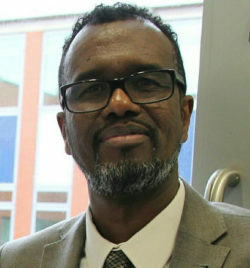 Abdi has been the Director of the Bristol Cable since March 2016. He is also the Company Secretaty and Director at Ashley Community Housing, and Project Manager at Bristol Somali Media Group. Absi is an active member of the Bristol Somali diaspora with an interest in International Development. Since 1999, Marti has practised as a lawyer advising SMEs on corporate and commercial law. Her particular areas of specialism are company and business sales and purchases as well as providing companies with all the commercial contracts they need to run their businesses. She joined Gregg Latchams in August 2012 and is the Head of Bristol Corporate SME which is part of the Company-Commercial team. She is a trustee of the Bristol Music Trust which has been set up with two aims. The first is to manage all aspects of the operations and programming of Colston Hall, Bristol's flagship concert hall. The second aim is to drive forward music across the city with the aim of creating a world-class music scene in Bristol. Marti is also a trustee of the Queen Square Association and the Company Secretary for Bristol Food Network which organises Bristol Food Connections. Afzal is a Labour councillor representing the Easton ward.